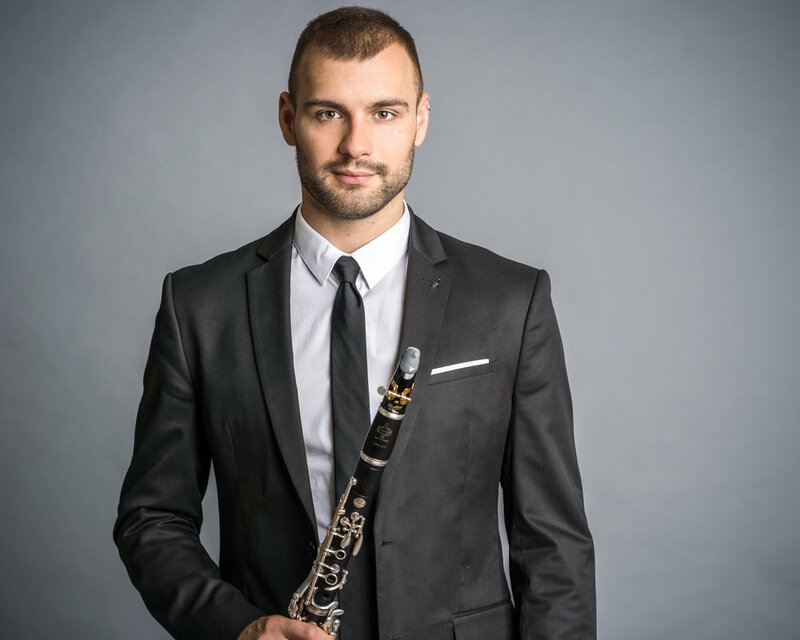 Eric Umble is a versatile, award winning clarinetist hailed as "lovely", (New York Arts) and known for his "... nuanced and coloristic playing." (The Clarinet). Eric enjoys a diverse international career as a soloist, chamber musician, orchestral player, and music educator. An advocate for, and avid performer of contemporary music, he is a founding member of numerous ensembles that championing music by living composers. Eric served as clarinetist in residence at Chamber Music Silicon Valley, the Annapolis Chamber Music Festival, and New Music on the Point. He has performed with renowned ensembles including the Orchestra of the Lucerne Festival Academy, the WindScape Quintet, American Modern Ensemble, LoftOpera, ECCE, Tenth Intervention, Cantata Profana, Ensemble Echappee, Tactus, Contemporaneous, and Ensemble Mise-en. Eric has performed in the world's major venues including Carnegie's Stern Auditorium, Lincoln Center's Alice Tully Hall, and National Sawdust in New York; as well as the Kölner Philharmonie, Hamburg's Elbphilharmonie, and the Cultural and Congress Center of Lucerne, Switzerland. He has participated in residencies at Princeton, Cornell, Millersville, Miami, and Sul Ross State Universities. Dedicated to using music as a force for positive change, Eric produces benefit concerts that raised thousands of dollars for public health, shelters, and disaster relief. He has received awards and honors including the Lancaster Red Rose Award for Community Service, Gordon Parks Memorial Competition, Skokie Valley Young Artist Competition, the Fuchs Chamber Music Competition, and the Naftzger Young Artist Competition. Internationally, Eric has performed in Romania, Germany, Switzerland, the Czech Republic, the Netherlands, France, Cuba, and Mexico. He is a teaching artist with the Bridge Arts Ensemble; on the faculty of the Manhattan School of Music Distance Learning Program, and has served as an adjunct instructor at the Teacher's College of Columbia University. He enjoys a relationship with the Escuela Nacional de Música in Mexico City where he has presented numerous lecturers, masterclasses, and recitals. Eric received his Bachelors and Masters degrees from the Manhattan School of Music studying with David Krakauer and Anthony McGill.